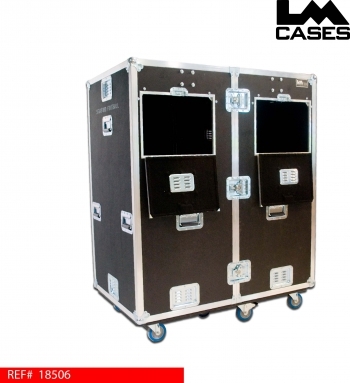 This case was made for Stanford University. The case is designed to transport and store team apparel. The unit is designed to hold clean clothes on hangers via hanging clothes bars. Equipment managers can simply open the case and allow team members to pull their uniforms out in the same manner as a home closet. 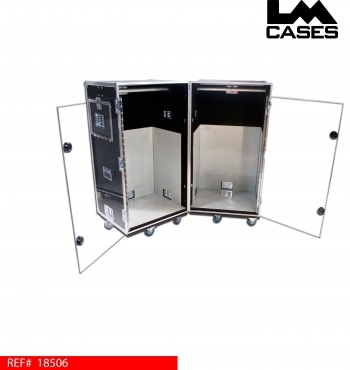 The case features 2 compartments separated by clear Lexan doors allowing the separation of clean and dirty clothes. 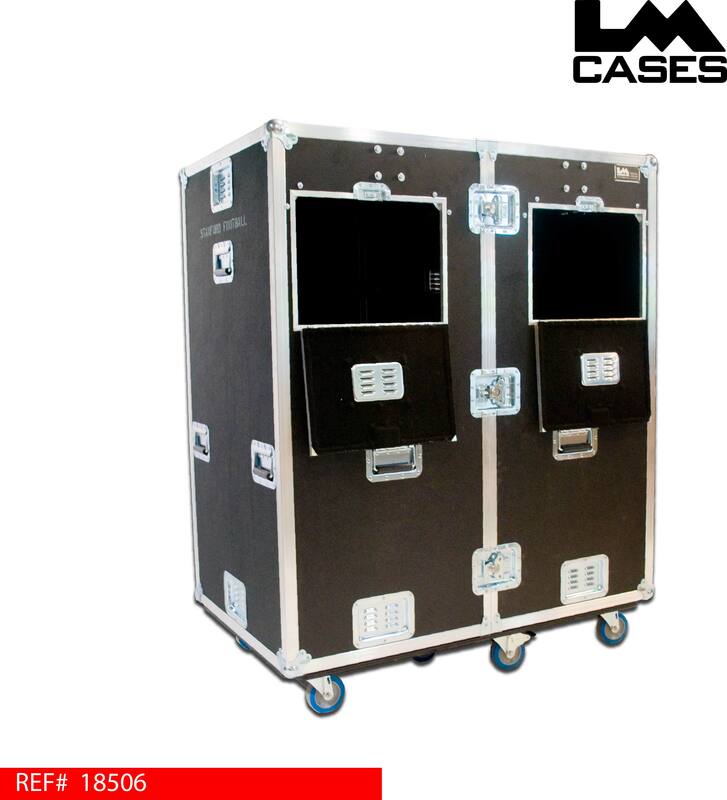 The case also features 2 trap doors on the exterior of the case allowing players returning from the field to simply throw their dirty clothes into the case. 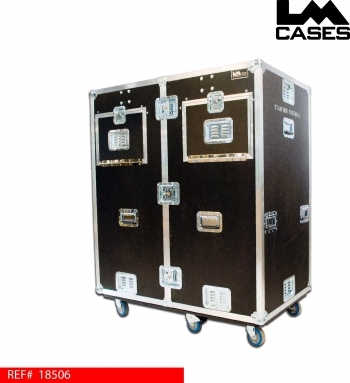 The interior compartments of the case are lined with white HDPE plastic to allow for easy cleaning of the interior of the case. Special thanks to Stanford University!